beta – Welcome to Spinksville! Another brief post: The next LOTRO expansion has been pushed back from the beginning of September to October 15th. They have captured Rohan perfectly. The art and the music is incredible. It is all greens and browns, rolling hills, crystal streams. My favorite part of the expansion so far is Volume III, Book 7 of the epic quest. I won’t spoil anything for you, but I’ll just say that this is the closest we’ve come to the Fellowship in a long, long time, and MadeOfLions and his team have done a great job of really bringing the story to life. It is probably the most immersive experience I’ve encountered so far in LOTRO. This expansion really reminds you you are playing Lord of the Rings. It is lore central. Which leads me to the incredible job @MadeOfLions has done with the epic Book 7, which for me is the best book of them all. I haven’t been this excited about an expansion release since Mines of Moria. It may be buggy still, but I absolutely am addicted to Mounted Combat. Rohan is an amazing, expansive region. As someone who loves cosmetics and the cosmetic system, I am really overjoyed that my character can now dress up his horse to exactly fit his current outfit. You can mix and match blankets, head gear, back gear and leg gear and dye them in a lot of different colors, and then use different saddles as well as specify different colors for your horse’s coat and mane and tail to create the perfect horse for your current look. The new mounted combat system is going to be the make or break part of the expansion. Beta testers mostly seemed to really like it, although people also noted that there was a learning curve and that since players are expected to level their new warmounts, there is a lot of grinding in the expansion. People also noted bugs and hoped that Turbine will be able to use the extra time before release to get those sorted out. But mostly I wanted to highlight that amongst all the other MMOs being released this autumn, it may be that Turbine are onto a winner here and LOTRO players may want to check this one out when they have time. This weekend was the first time I’ve had a chance to play the Guild Wars 2 beta. This is still a beta, which means that things can change before launch (and afterwards, obviously), so I’m not going to sweat the details in favour of sharing some broad stroke impressions. Short summary: Fun was had but I can’t say I felt hooked until I tried WvW with Arb. WvW is really good fun and looks to me like the heart of this game. PvE is fine also but the parts I saw weren’t as compelling. Mechanically, the game is quite fussy, bordering on complexity just for the sake of it. This probably depends a lot on which profession/class you pick. Not so much ‘easy to learn, hard to master’ as ‘easy to learn enough to play the thing and not realise you haven’t grasped your class’s core mechanics.’ While the game can be quite slow and peaceful if you are in a quiet zone or quiet time, if you are in a zone filled with players you may end up with sensory overload from stuff going on all over the place all of the time. The ‘heart’ style of PvE questing where you get some choices about how to make the local questgiver happy was pretty cool and I liked it a lot. Oh, and I really liked the vistas (will explain below.) I cannot imagine how genuinely new players would stick with the game long enough to learn it though, and even experienced gamers may find things confusing. Classes I tried were elementalist, warrior, and mesmer. Up to about level 8 on the highest. I will probably go with an Elementalist main, but I did like the Mesmer a lot even if I totally failed to pick up on the skill chains. I didn’t try any crafting. 1. The game world is large and bright, and interesting to explore. Some zones do feel much more open than others, the Norn starting area is spacious for example. Asuras felt more boxed in. 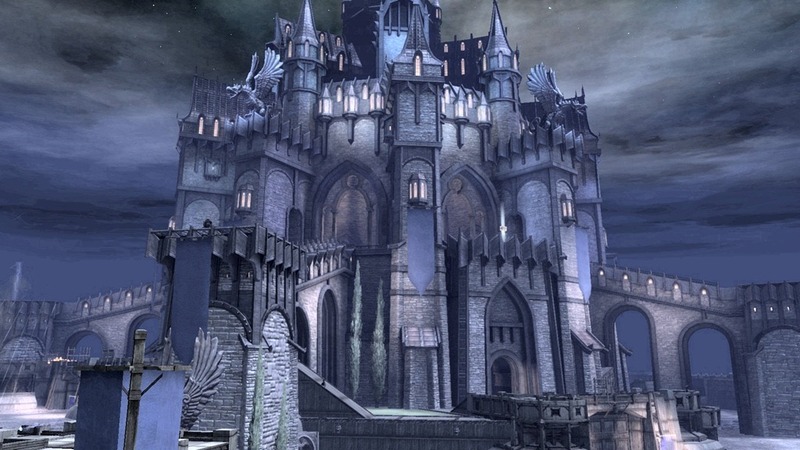 But Arenanet are comfortable with building huge structures for players to explore; the castle in the screenshot at the top for example. They’ve encouraged some exploration via exploring achievements (you get told how much of the zone you have discovered) and vistas, which are points marked with little floating maps that reward the player with a pretty, soaring, cut scene of the surrounding area if you can get to the vista point. Some have minor jumping puzzles associated with them. 2. Tutorials are hit and miss. Skillbars get replaced a lot with no warning. Some of the in game tutorials were great. The introduction to the mists (WvW) for example, was really well done. I did wonder why the guy was emphasising the need to carry supplies around, but we figured that one out fairly swiftly after actually getting into some keep take/defense action. The professions though don’t get much explanation at all. Best you can do is mouse over all your available icons, read the tooltips, and give it your best shot. 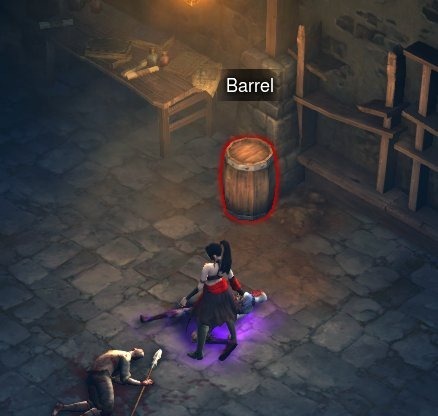 The game also loves to completely replace your skillbar icons when you pick up some usable item or get into a downed state (near death), typically without giving you any time at all to check what your new skill icons actually do before you have to use them. Cue random button hitting and hoping for the best. If you find this confusing, it is because it is confusing. I now realise from comments on KTR that the reason I thought some of my abilities had flickering icons was because there was some kind of chain mechanism going on (where you hit the same skill button more than once and the skill that fires off changes). I have no idea how you were supposed to really figure that one out. I don’t mind complexity as long as I’m not expected to grasp it all instantly, but it’s a good idea for devs to at least throw players a bone or two when it comes to figuring things out. Even if it’s just a link to a player-driven wiki. 3. Dynamic events are fun. Underwater is fun. This is a bunch of Asura fighting a huge shark underwater – still not entirely sure how you can cast fireballs underwater but hey, magic! One of the nice things about dynamic events is that you can just roll up and join in, no need to be part of a group or have a gear check, if you’re in the area then you’re in. After the event finishes, then medals are awarded for participation (ie. gold, silver, bronze) and you’ll get some xp, karma points (used to buy stuff from merchants) and in game cash. Since the xp is great compared to most of the other things you’d be doing, it’s pretty much always worth joining in. Also some of the dynamic quests have several stages and fun little stories. I’m not entirely sure about how much they change the world (until the next time), because like most people, I probably wasn’t sticking around long afterwards unless I was already questing in the area. Being underwater is similar to flying in that you have 3 dimensions in which to move. I enjoyed it a lot, albeit not really sure how badly I wanted to learn yet another tray of abilities. On an elementalist, for each weapon you can also unlock four different elemental attunements (ie. 4 whole bars of skills). This feels like a lot of skills to remember. Plus you have to unlock them by killing mobs/players while using that weapon. I had thought that needing to train up weapon skills had gone out of fashion but clearly that’s not the case here. The elementalist is a particular edge case because it’s crazy flexible and has a massive amount of abilities available at any time. I can’t actually think how other professions are balanced against it. It is definitely interesting, particularly in the early game when you still have a lot of skills to unlock. I suspect later on things settle down and get less confusing as you get used to what is available. But still, the weapons felt like a hindrance rather than cool themed sets of abilities. So I might have one cool ability to leap into combat and zap people and another that lets me leap backwards and leave a trail of fire … but they’re on different weapons and different elemental attunements so I can’t easily use one followed by the other. This is where I was missing GW1 and its more flexible skill set design. GW2 (like GW1) is a bit fussy with its buffs and debuffs. There is a fairly complex game around applying and removing various buffs, conditions, and other variously named categories of buff/debuff. There are also combos in the game, which I know because the game told me I completed one during one dynamic event. Since it did not tell me anything more than this, I have no idea how that happened or how to repeat it. It is something to do with how abilities of different professions interact, presumably it’ll a) all be documented on websites somewhere and b) we’ll have more time to figure it out while playing with friends anyway. 5. If you hate miniskirts, avoid the Norn casters. This was the point where I decided my elementalist would not be a Norn. I don’t care how soon I am able to pick up a longer skirt so I don’t have to see her knickers when she runs, IT ISN’T SOON ENOUGH. Asura costumes are fine though. The characters generally looked good, and I was sad about the knickers thing because I liked the Norn hairstyles (even though long hair clips horribly). Anet give some good long hairstyles for male characters also. I was also amused that I could create a human male mesmer who looked a bit like Littlefinger. In our brief 2hr stint in WvW, Arb and I had a lot of fun. The zones are large, the keeps and castles are large also. There are siege engines. You can tote supplies around and help build siege engines or mend damaged walls/doors (and in fact you probably should.) It can all seem quite complex at first but if in doubt, you can just follow someone who looks as though they know what they are doing, or look for current battles marked on the map. People were quite good about yelling useful instructions (like ‘go to keep X everyone’) on the general chat. The WvW zones have some vistas and skill challenges, which work the same as PvE zones. I’m not sure if they have dynamic events other than player driven ones. This is us with a zerg attacking a keep door (I think we are Team Blue in this zone). You can see fire being flung from the trebuchet behind us. The green door is where Team Green (ie. 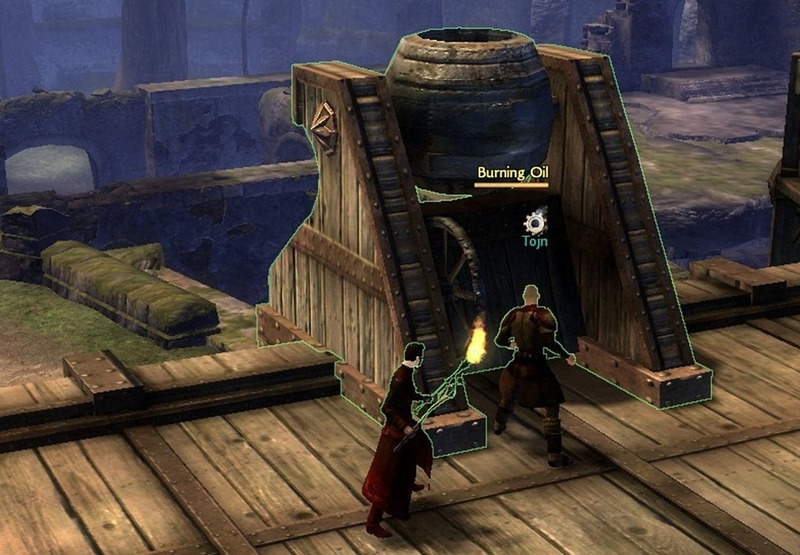 the team who held the keep currently) could slip inside, which is a similar mechanic to WAR and DaoC. The gate’s healthbar is shown in red, when the health is zero the gate breaks open. You can also attack sections of the walls. Defenders can stand on the ramparts and shoot at attackers, stand behind the gate and repair it with supplies, or use their own siege engines. Defenders have access to burning oil which they can throw on people attacking the gate also. I probably shouldn’t have been walking so close to the burning oil with a lit torch. Trebuchets have a pretty long range. I marked the treb with a red circle here, and you can see its been set up well out of reach of the defenders (unless they have a treb of their own) but can still attack the ramparts. In our game, we ended up with a three way fight inside the big castle – there are three teams involved in every WvW zone, coded red, blue, and green, and players will also have a name label showing which their home server is. It was a bit mad and the lag with a lot of people involved was quite significant. Arb said immediately, “Lets go upstairs, you always have to go upstairs in keeps. There is probably a keep lord.” And she was absolutely correct. To take a keep, your team kills the keep lord who is an NPC. 7. The Auction House has buy as well as sell orders. You can buy or sell on the AH from anywhere in the world, but have to actually be in a trading post to pick up things you have bought. This all seemed to work very well. It is possible to set up buy orders, and when someone sells an item, they will see if anyone has buy orders out on it. If so, and you sell for that price, it sells instantly. I would imagine the buy orders are generally lowball so you’ll probably make more by selling at a higher price and being patient. But this was beta so who cares, really? I liked the functionality of it. By comparison, the mail is weaker. You can’t mail your own alts, so if you want to give them spare items, you will have to leave those things in your vault (which is shared between alts on that account/server). You can however, send and receive mail from anywhere. So it’s Diablo 3 weekend (sorry, any other game that was having free trial/ open beta weekends this week) and although unsurprisingly the servers were full last night, it’s a bit quieter this morning. Let’s hope they’re going to be able to cope with the rush on May 15th when the game is released. 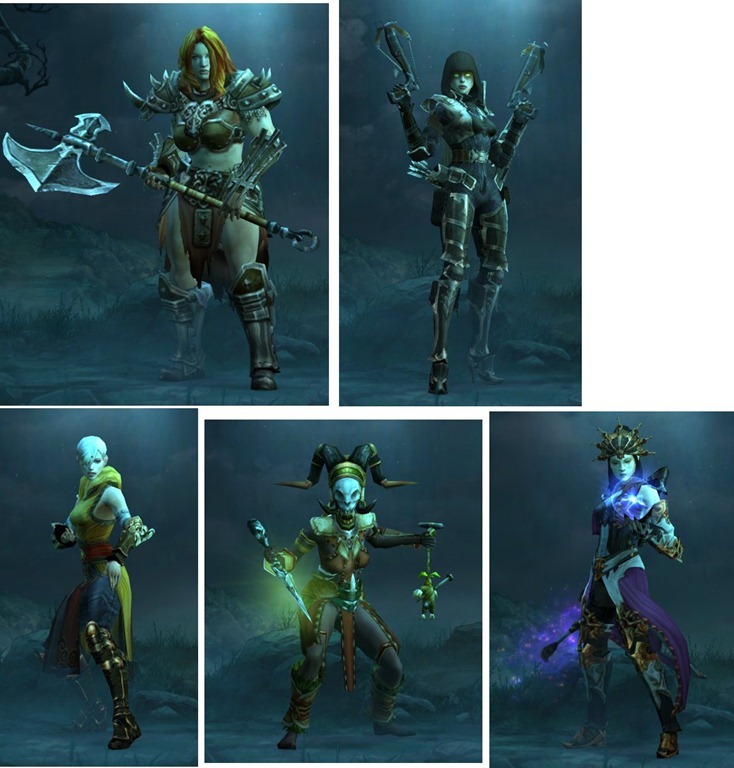 The picture above shows the five classes, in female versions. I don’t want to pull the race card straight out of the gates, but you will notice that four of these characters are very pale (like: vampiric pale) and the witch doctor is very dark skinned. That makes me a little uncomfortable. I do like that the barbarian is a chunky-looking chick who has an appropriate wrestler’s build, especially in comparison with the skinny everyone else. Also, the demon hunter has stupid heels on her boots, but the male demon hunter is prettier anyway so there is that. Just as an aside, I like how they have the witch doctor and monk in a good, powerful stance on that login screen too. I’ve played through it once on a Wizard (about as explody as you’d hope) and basically, it’s Diablo with some tweaks. So if you were hoping that Diablo 3 was going to be more of the same, you’ll likely be very happy with it. The game feels more linear and prone to sending you running down corridors of mobs than Diablo 2, at least in this initial section. I couldn’t tell you a lot about the storyline because I wasn’t very clear as to why my character was there in the first place. Presumably there will be a video intro in the final game to explain this. As you can see from the screenshot above, you still get to explode barrels. And this brings me to the eternal ethical paradox of Diablo – if it is wrong to destroy bookshelves, why do they drop loot? They have done some nice tweaks with the achievements, which are awarded for the sorts of things you’d probably expect. Such as killing lots of mobs, exploding things, finishing bits of the storyline etc. You can also sometimes destroy bits of the scenery, bringing chandeliers or walls crashing down, and there are achievements for destroying monsters with scenery also. Some of the other tweaks are around crafting, where you can level up your game’s blacksmith by throwing money at him. The blacksmith can also ‘disenchant’ magic items for you into components that you can use to have him craft new stuff. The new stuff I saw has randomly assigned magic abilities, so this is effectively letting you recycle unwanted magic items into ones that may or may not be better. Gathering gold is going to be quite important in this game if you want to craft any of the higher level stuff. The powers and how the talents work have been described quite thoroughly elsewhere – basically it’s quite linear and you don’t even get to swap which powers are assigned to your left and right mouse buttons. As you level up you will get more choices around powers and how to tweak them, and I imagine it gets deeper and more involved, but you don’t really see much of that in the demo. Arb and I played in co-op for a short while and that was fine. You are able to teleport from the town to wherever the other person you are grouped with is, and you can earn co-op achievements together. The loot drops in co-op are completely separate for each character and I couldn’t even see what drops she was getting. Also, you get to use your own blacksmith in the co-op game, you don’t have to jointly level a new one. Once you add someone to your friends list, you will also get to see their achievements pop up in the same way you see your guildies achievements in WoW. Anyhow, short form: it’s fun, if you liked Diablo 2 and Torchlight and wanted a game like that then go for it. I don’t feel Blizzard have really been pushing the boat out here too much. So while I do look forwards to playing Diablo 3, I’m going to be intrigued also at what Runic have in the pipeline for Torchlight 2 because I think you could do more with this genre. [Diablo 3, LOTRO] What were they thinking? Two examples this week of devs making some unexpected decisions. Now there’s no launch date yet for D3 but we’re assuming that it will be ‘soon’ since it’s only taken Blizzard about 12 years to get this one going. And yet, even as recently as this week they are announcing that they’re still making major changes. It’s good to see a company respond to feedback received during beta testing, but when you get to “we’re going to be iterating on designs we’ve had in place for a long time, making changes to systems you’ve spent a lot of time theorycrafting, and removing features you may have come to associate with the core of the experience” then it all starts to sound a bit major. That’s not an issue, if they’ve got ideas for making things better then it’s a good idea to implement them. Just the new builds will also need a good soak of playtesting to make sure that they haven’t introduced more problems than they’ve solved. Especially when you are reitemising everything. I think the comment about ‘systems you’ve spent a long time theorycrafting’ is quite telling. That’s what some beta testers do these days, and whether it’s for fun, or for profit (ie. prepping some future game guide), there’s a strong commercial element for players who are up with the newest game information and wish to package and sell it. Tobold commented on this with reference to D3 also. I don’t think D3 will be especially commercialised just because of the real money AH (although it’s bound to attract the “Make Money Now” sites/ ebooks), I think any large and popular game released now would do the same thing. The other raised brow from D3 this week is around bannings from the beta. Now I’m not uptight about devs banning players (actually I laughed like crazy when I heard that Bioware banned someone for using a stupid meme about ‘I am 12’ on the bboard, because the boards are restricted to 13+ – that was actually and genuinely hilarious), but the only reasons I’ve known people to be banned from betas previously have been around harassment or breaking NDA. So when Stabs commented on Markco’s banning which was around gold making in the beta, I was surprised, since D3 doesn’t have an NDA on the beta and I very much doubt he’s been harassing anyone. I don’t know the details, but I do wonder how ready they are for the prime time. It’s clear that Turbine have been thinking about how they can get some more cash out of LOTRO players. This isn’t necessarily a bad thing, if it means selling items/ content that people will want to buy. It’s behind the recent announcement of the next expansion, Riders of Rohan, which is said to be huge. And also that they plan frequent content updates afterwards. If paying for content is your preferred form of F2P, this is good news, assuming the content is fun and all. I’ve always enjoyed LOTRO questing, especially the epic books, so I don’t see much of a downside here. They’ve found that the player base is more willing to throw money at them for expansions than for fripperies. Is this a move away from the ‘whale model’ of F2P payers, I wonder? And then there is adding gear with stats to the item store. This is lower level gear, and the notion is that lower level players were having trouble gearing … or something. Fine, but there is a solution for players. It’s called crafting and the auction house, it’s called skirmish gear, it’s called doing quests. It’s called playing the game. So why is that not working? This is one of the issues with F2P, the devs have very little motivation to figure out what’s not working and tweak it, if players will just pay for a band-aid instead. Or maybe they have thought about what’s not working and decided it’s a structural issue with the way the entire game is made. Maybe it’s inevitable that the lower level game gets left to its own devices, that crafters can’t be bothered to keep crafting for alts, that gold gets less important so no one cares about that in-game market. The other LOTRO innovation that I thought was quite smart was selling class-specific mounts on the item shop. I think there’s a lot of mileage in cosmetic class-specific items. They’re fun. They’re thematic. Sadly not as fun as having an actual class-based quest in game associated with them, but there’s also the notion that players might buy a different mount for each of their favourite alts. It’s all quite smart. After playing a bit (*coff*) this weekend, I’m very positive about the game. Star Wars: The Old Republic is a well executed themepark style MMO in the WoW mould – I’m looking forwards to playing the game when it goes live, but the apple doesn’t fall far from the tree. Anyhow, these thoughts are based purely on low level play of a few classes, so doesn’t represent much of the game. I also played a flashpoint (Black Talon) with some friends, which was good fun (there were three of us so we used a companion to fill out the group). Fun is the keyword here, because I had lots. The fully voiced questlines are amazing. I predict that the PC voice actors in particular will become fan favourites at conventions, if they aren’t already. (Grey DeLisle as female bounty hunter is awesome.) I also liked the music. I enjoyed the cut scene excepts. They aren’t really cut scenes in the classical sense, because they often frame conversations in which you can interacts. They occur in solo questlines, in group quests, and in instances. If you have the patience of a 2 year old on a sugar rush you will hate them. Combat is snappy. Classes felt fun to play, not far from the WoW mould but fun. Planets are large and the locations are very immersive. It doesn’t feel tiny, there’s room to run around. The light side/ dark side choices are good fun. Group conversation options in instances/ flashpoints also work really well. Everyone picks their option and the game rolls to see who answers for the group. Everyone gets darkside/ light side points based on their choices. We found it amusing when the one lightside/ darkside group member got to make the choice, rather than irritating. There are group quests in starting areas but you don’t have to do them, or you can always come back later. However, area chat was full of people looking to group, and that gave the beta a very old school feel for me. I put this as a positive because I did try some PUGs and had a lot of fun. Plus at the end of the PUG you get the option to add the other people to your friends list, which was a nice touch. I liked all the classes that I tried: Sith Warrior, Bounty Hunter, and Jedi Consular. The main bugs we found this weekend were one which meant you couldn’t log out and log in again as another alt (they fixed this one on Sat), lots of disconnects while in a flashpoint which meant we couldn’t finish it together, and other bugs around logging out. There probably were more minor ones but those will need to be addressed. Lots of running around. I don’t mind this, it just makes the game feel a bit more old school. Some people will find it annoying. While the map is great and quest directions are usually fine, there isn’t a lot of instruction around game elements such as bind points etc or how to find them. This may be annoying for less experienced players. For anyone else, you can just set the map to show them. I don’t have a lot of bad things to say about SWTOR because I was happy that the game met my expectations, plus I only played a few classes to level 10 so I’ve barely scratched the surface. I heard comments that some classes were associated with more fun storylines than others, but that may depend on taste as well as objective appraisal. Screenshots weren’t working. I had to ctrl-prt and then tab out to get the ones on this post. Sith Warrior plays a lot like the WoW Warrior. Force charge replaces charge (it’s actually more like heroic leap on a short cooldown), saber ward replaces shield wall, etc. But I never get bored of landing on top of a bunch of unsuspecting mobs and laying around with a buzzing lightsaber so that’s OK. The storyline was pretty much as you’d expect: trials to complete, a rival to encounter, opportunities to stiff your master, but I was getting quite into it by the end. I liked how my true sith gal looked too, with the funky metallic skin piercings. And her voice acting was great – authoritative and a bit sardonic. The jedi and sith do seem to have more interesting dark side/ light side choices to make, I think it’s just more key to their characters. Jedi Consular starts with a mixture of melee and ranged attacks, and doesn’t have as good a range as the bounty hunter. Because it’s a more fragile class, you need to play a bit more carefully but I didn’t have any trouble with the starting quests. When you do die, you have the option to res in place (with a few seconds grace to get yourself out of harm’s way) or back at the nearest graveyard. There is more crowd control later on, it feels very versatile in play. 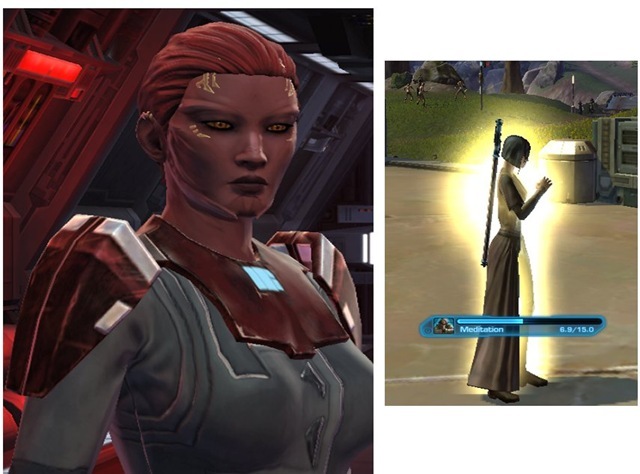 While people have complained that her starting story is dull, I think you need to ask whether or not you want to RP a jedi. Because if you do, there are plenty of chances to show wisdom and restraint and try to resolve things peacefully. I thought it was fine, but less overtly exciting than the more blood and glory sith style. This is a large game, and regardless of the extensive solo class quests (which are fully voiced and rather splendid), it feels like a genuine MMO. Grouping is fun, combat is fast, flashpoints (instances) benefit from being punctuated with RP/conversation snippets which make them feel less like the standard ‘corridor full of mobs interspersed by bosses’ model. How that will play when everyone knows all the strategies and wants to grind them for loot I don’t know. But I think they’ll be fine. Star Wars fans will love it, if they can stop whining about not being able to play some obscure species. WoW players looking for a new game that isn’t too dissimilar will probably love it too. I think single player gamers will enjoy the game a lot, but there are group quests and instances even if they’re not for you. So it depends on how annoyed you feel you will be to keep hearing people in area chat asking for groups for them. [SWTOR] So the NDA is down, ‘open’ beta weekend looming. Also GW2 and Torchlight 2 delayed. What’s a girl gonna do? I’ve been racking my brains on what to say about SWTOR as the fansite NDA went down last week and my RSS feed filled up with previews and opinions from people who have already experienced the beta. I’ll link to a few here, it’s just a subset of the many good posts out there since most of them reiterate similar points. It turns out that I simply do not have the patience for staying in one environment that Bioware demands of me. 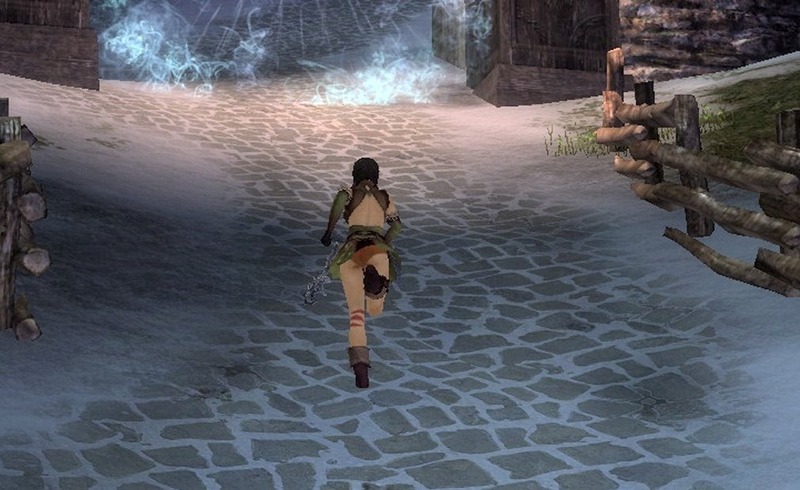 […] I love me some well-crafted and portrayed lore and cutscenes, but at least in most MMOs I’ve played I have a variety of locales I can move through in a relatively brisk manner, or, barring that, a variety of activities I can undertake to advance, even within the same environment. SWTOR is worth buying because it has the qualities of every other Bioware RPG. If you bought Dragon Age Origins or Mass Effect and had fun, and you like or tolerate themepark MMOs, then SWTOR is no different. From what I have seen, I fear the end-game will be just like WoW. I’m not a fan of raiding for gear and I don’t like repeating the same raid over and over. That truly is the end-game for me now — that’s where I’ll end playing the game. MMO Gamer Chick writes a very thorough preview and explains why she loved it, but also notes that it isn’t a revolutionary game. I’m a gamer of fairly flexible tastes, and I have to say I thoroughly enjoyed every minute I had with this game. Despite some nitpicky issues I had, in general my overall view of SWTOR is extremely positive. […] as you level up, the combat gets a lot more interesting. By the mid 20s, I was really getting into it. And by 50, I was having a ton of fun. [Planets] are HUGE. So huge, you will be crying tears of joy by the time you get to buy your first speeder. Quest indicators on the map are almost a necessity; otherwise, the game is so big you’d never be able to figure out where to go. My overall impression of professions in SWTOR is that they closely model WoW crafting. There are a few improvements such as the reverse engineering ability, the enhancement option and crew missions, but the skill levelling and procurement processes are quite similar. They also seem to have the same gated structure to the levelling process that makes crafting prohibitive to non-adventurers in most games. The quests and storyline, and general solo play is amazing. I really enjoyed that and I look forward to fully exploring the game when it releases. Also, I’d like to reiterate that I loved Light-Side Sith. But mechanically, it feels like there are a lot of design issues. These don’t really matter for solo play, but I think the crucible of group and endgame play will expose a lot of flaws. Mostly I am finding that my previous expectations of the game are borne out by players. So top marks to Bioware for sending out the right messages with their hype. All I ask of hype is that it be entertaining and not give misleading impressions. One note that Randomessa highlights in her post is that the different class storylines play very differently. She was conflicted in that the class whose story she preferred wasn’t the one whose combat gameplay she liked best. I know my goal during open beta weekend, if I have time, is to play enough of the classes to get a feel for which story I am going to find most compelling. In other news, Guild Wars 2 sounds as though it’s likely to be at least a year out from going live based on comments made during NCSoft’s latest earning call. Although if their beta is still due to start this year, that would leave them with an unusually long beta …. Torchlight 2 is officially delayed now as well, I wish Runic all the best with the game and look forwards to play it when it does come out. But it’s bad news for them if they can’t get T2 out before Diablo 3.